Imperial College London (officially Imperial College of Science, Technology and Medicine) is a British university in London. Imperial's teaching and research have traditionally focused on science, engineering and medicine, although more recently its faculties in these areas have been complemented by the Tanaka Business School and a humanities department. Imperial's main campus is located in South Kensington in central London, on the boundary between the Royal Borough of Kensington and Chelsea and the City of Westminster, with its front entrance on Exhibition Road. 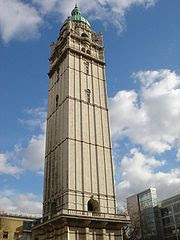 Formerly a constituent college of the University of London, Imperial became independent of the university on 8 July 2007, the 100th anniversary of its founding. 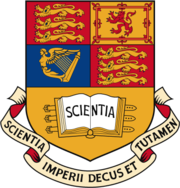 Imperial College was founded in 1907, with the merger of the City and Guilds College, the Royal School of Mines and the Royal College of Science (all of which had been founded between 1845 and 1878) with these entities continuing to exist as "constituent colleges". The College was granted a Royal Charter by Edward VII in July 1907 and was integrated into the University of London. 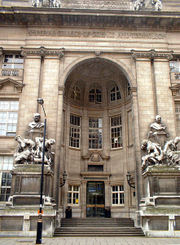 In later years, St Mary's Hospital Medical school (1988), the National Heart and Lung institute (1995), and the Charing Cross and Westminster Medical School (1997) merged into the Imperial College School of Medicine, the fourth constituent college. The size of the Medical School was increased in 1997 with the merger with the Royal Postgraduate Medical School and the Institute of Obstetrics and Gynaecology, and again in 2000 with a merger with the Kennedy Institute of Rheumatology. Also in 2000, Imperial merged with Wye College, the University of London's agricultural college in Wye, Kent. It has been claimed that the merger might have been motivated by Imperial's interest in acquiring land owned by Wye College, rather than for academic reasons; Wye College accepted the merger because it was in financial difficulties. In December 2005, the college announced a science park programme at the Wye campus; however, this was abandoned in September 2006 following local environmental complaints that this program would have a negative impact on the surrounding countryside. Wye College will now be run by the University of Kent from September 2007 in association with Imperial College London and Wye College, graduates will receive a degree from the University of Kent and an Imperial Associateship of Wye College. In 2002, the constituent colleges were abolished in favour of a new faculty structure. A merger with University College London was proposed in October that year, but was called off a month later after protests from staff and students of both colleges. In 2003, the College was granted degree-awarding powers in its own right by the Privy Council. Exercising this power would be incompatible with remaining in the federal University of London, and on 9 December 2005 Imperial announced that it was beginning negotiations to withdraw from the University. The college became independent in July 2007 and the first students to register for an Imperial College degree will be postgraduates beginning their course in October 2007, with the first undergraduates enrolling for an Imperial degree in October 2008. The first group of students to be awarded the Imperial College degree by default will commence their studies in 2008, but all non-final current students were offered the option of choosing to be awarded a London degree or an Imperial degree. 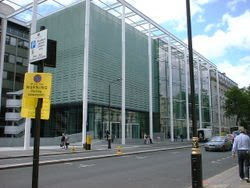 Imperial College is a member of the Russell Group of Universities, AMBA, and the IDEA League. It is also considered a member of the "Golden Triangle". The College's official title is Imperial College of Science, Technology and Medicine, which it used in public relations up to 2002.